We have switched most of our lighting to LED bulbs, conserving energy and creating less heat (so the A/C doesn't run as much). We also reuse about 80% of our leftover mat board and foamcore by donating unused materials to local high school art classes. We are "The Best Friend Artwork Ever Had!" 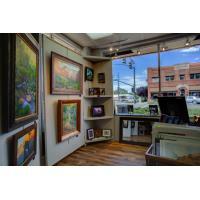 The Frame & I Custom Frame Shop and Art Gallery features the largest selection of custom picture framing options in Northern Arizona. We build creative, one of a kind frame designs with your taste and budget in mind. We also carry a choice selection of readymade frames, including rustic barnwood frames and plein aire style frames. Our full service frame shop can handle any request you have, no matter how large or small or complicated! 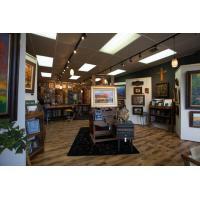 Our gallery features original artwork by Prescott area artists, prints, posters, jewelry, easels, and gift items. Drop in today and let our artistic staff help you design the perfect frame for your treasures! Or browse our gallery of fine and fun original artwork. Our services have been voted the best in the area by Market Surveys of America. 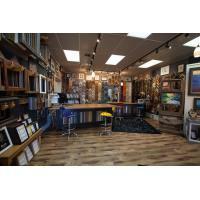 Best Frame Shop in Prescott! We're also the 2015 Design Star International grand champion. We have many happy customers and have been in business for over 30 years.